The main airport in Brussels is Brussels Airport in Zaventem. 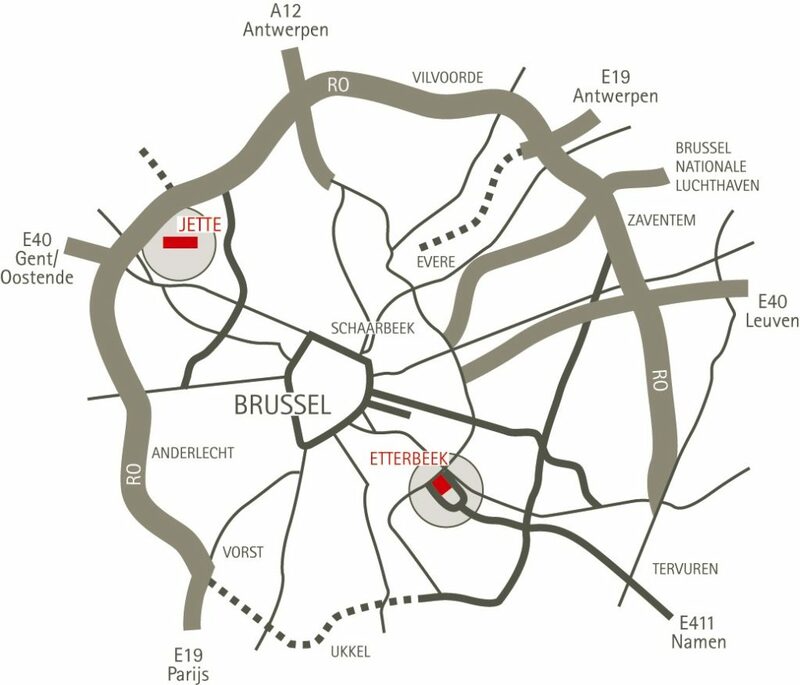 To get to the VUB campus from the airport, take the train from the airport to Etterbeek station. To get to the city center, there is an airport shuttle (12 or 21) which takes 30 minutes; for this bus, you need to buy a special airport bus ticket, approximately €4,50. Another option is to take a train to the central station which takes 20 minutes and costs €12,70. Another airport nearby is Charleroi airport. Typically budget airlines like Ryanair operate here. This airport is approximately an hour away by a bus service, which can be booked here. These buses depart every hour from Brussels’ south train station (Brussel Zuid/Bruxelles-Midi). Trains to Brussels often stop in all three of the main Brussels stations: Brussel Zuid/Bruxelles-Midi, Brussel Centraal/Bruxelles Central, Brussel Nord/Bruxelles-Nord. However, some international trains (i.e., Thalys, Eurostar, ICE) will only stop in the north and/or south station. A large number of European cities have direct buses to Brussels. Buses typically arrive in Brussels’ north station (Brussel Nord/Bruxelles-Nord). Brussels has an extensive network of buses, trams and metros. 1 journey including connections during 60 minutes after the first validation costs €2,10. See the public transport website for more information. Please note that a different ticket is required to use trains, which can be purchased through the Belgian rail service. 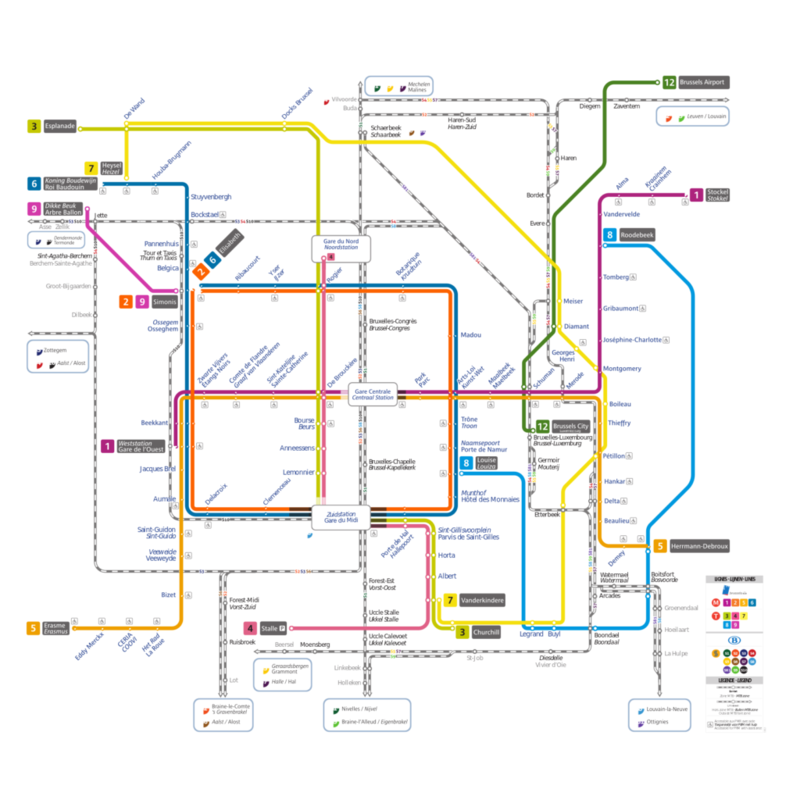 Public transportation routes and schedules can be found on the Brussels public transportation website. From around Brussels, a number of transportation methods will get you close to the VUB campus. Via bus: lines 34, 71, & 95, stops Arsenal, Fraiteur, and Etterbeek Gare, resp.